Home Actors Kriti Sanon and Sushant Singh Rajput promote Raabta in Delhi – Photos! Kriti Sanon and Sushant Singh Rajput promote Raabta in Delhi – Photos! Raabta promotions are going on in full swing. This time, the lead actors Sushant Singh Rajput and Kriti Sanon reached Delhi for the promotions on June 6, 2017. The actors have never failed to show off their crackling chemistry in front of the cameras. 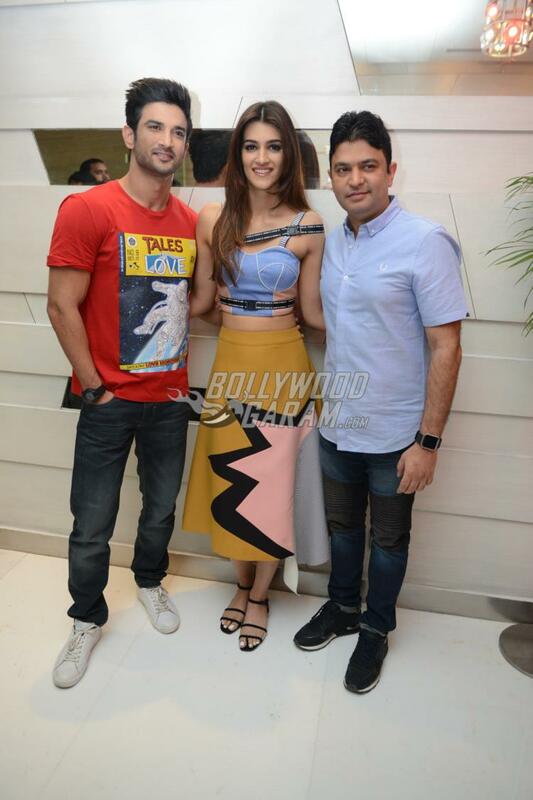 Sushant and Kriti were joined by producer Bhushan Kumar. 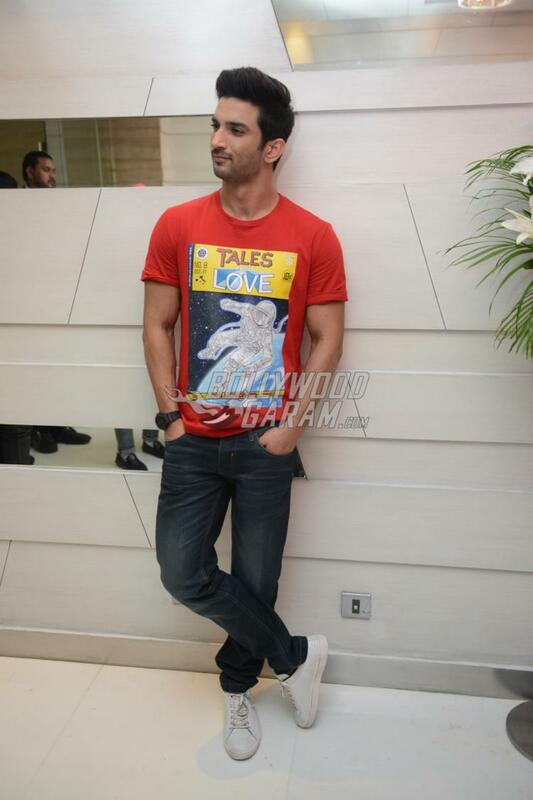 Kriti looked gorgeous in a printed outfit while Sushant was seen in a casual t-shirt and a pair of blue denims. Raabta is all set to be released on the silver screen on June 9, 2017 and will mark the debut of director Dinesh Vijan. 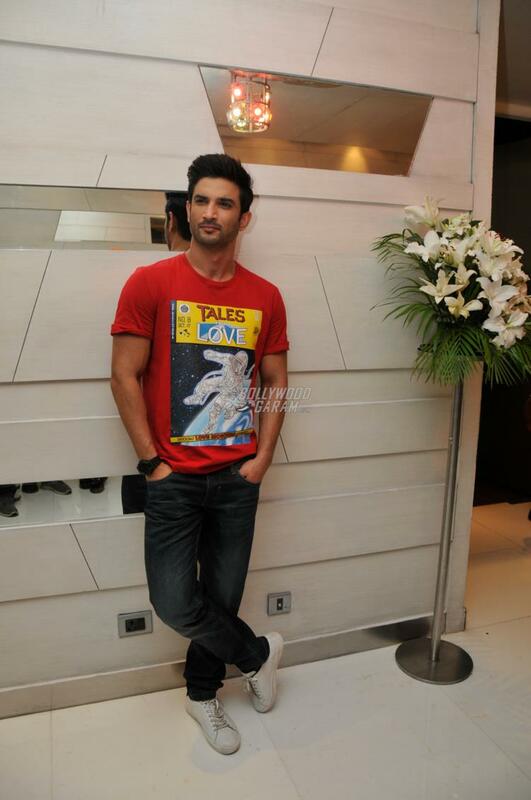 Going by the trailer and promotional events, the audience is waiting to catch the fresh pairing of Sushant and Kriti. 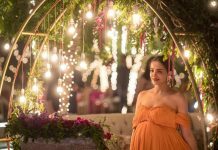 The film also stars Jim Sarbh and will have a cameo appearance from actor Rajkummar Rao. Next articleVictoria and Abdul shows an interesting relationship between Ali Fazal and Judi Dench!